It’s the time of year when a lot of people are thinking about health care. 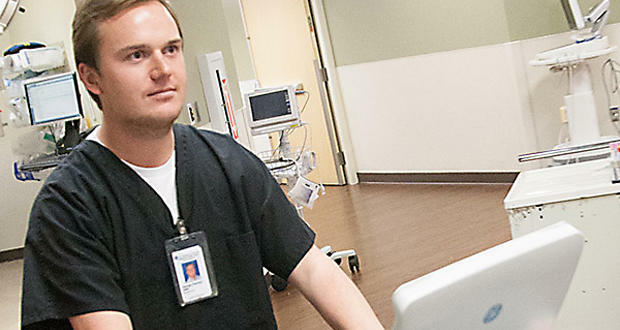 Many private employers’ option periods just wrapped up, and on November 15 annual enrollment opened for the Affordable Care Act. 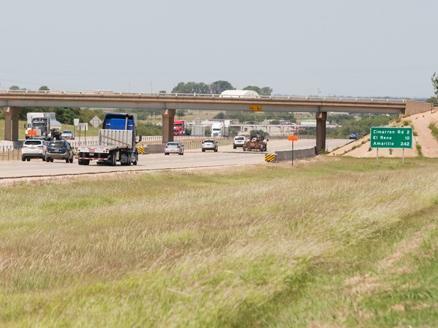 The Interstate 40 corridor in western Oklahoma City and Yukon is growing fast and some companies are looking at development prospects in the area. 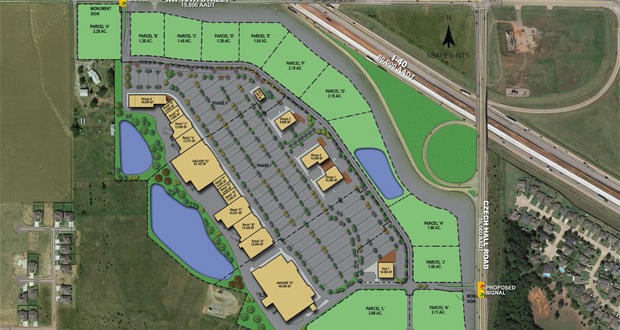 The Journal Record's Molly Fleming reports GBT Realty Corp. plans to build a $50 million, 450,000-square-foot retail development on 80 acres at the intersection of NW 10th Street, N. Czech Hall Road, and Interstate 40 near Yukon. Editor's note: The audio version of this story contains language that could be misleading. Written proposals from Clayco and Milhaus both discuss plans for a public-private partnership, and government incentives. 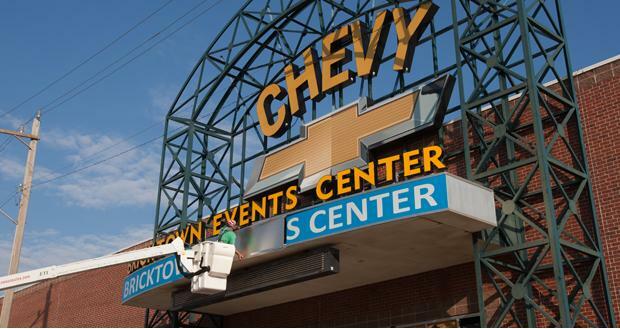 Downtown Oklahoma City is growing and there is need for more office, commercial and residential space. The Oklahoma City Urban Renewal Authority called a meeting this past Tuesday to talk about the empty lot at the southwest corner of Sheridan and Hudson avenues. There's no shortage of large and small live music venues across Oklahoma. In Oklahoma City, the owners of the Wormy Dog Saloon in Bricktown told The Journal Record's Molly Fleming they're partnering with a Colorado investor to open a 4,200-person venue sometime late next year. But some promoters are concerned. 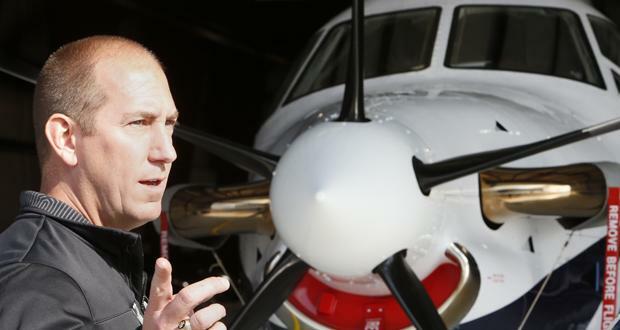 Oklahoma has long been a regional hub of aviation, with three U.S. Air Force bases, Boeing’s facility in the Oklahoma City metro, and the University of Oklahoma’s aviation program operating out of Max Westheimer Airport in Norman. There’s an image of corporate jet owners as evil, Gordon Gekko-type CEOs flying around the country on a whim. But many small and medium-sized businesses are finding it makes sense to invest in aircraft. On Tuesday the City Council of Oklahoma City met for a “rare joint workshop” meeting with the Oklahoma City Planning Commission. They were looking over planokc - sort-of a guideline for growth over the 621 square mile community that’s one of the largest in the country based on geographic boundaries. One side effect of Oklahoma City’s urban renewal has been a booming food truck industry. 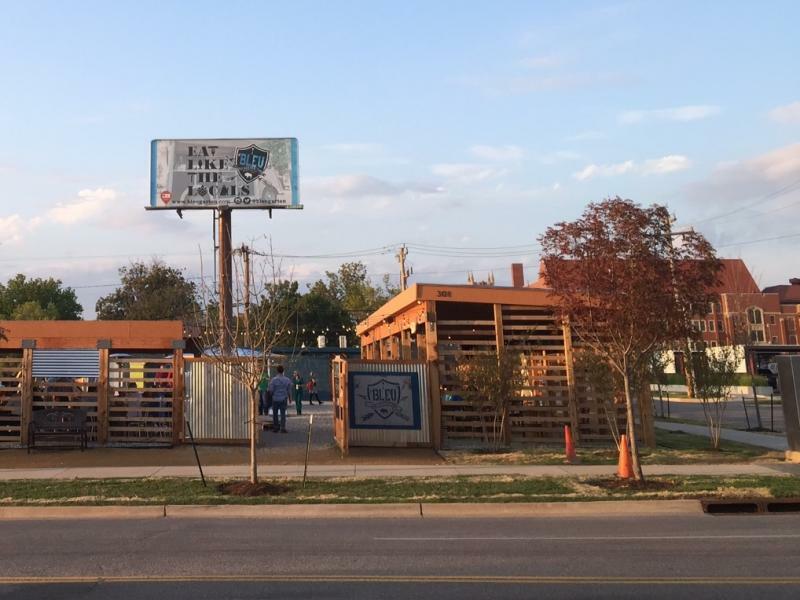 The popular monthly H&8th festival closes out its seven month-long 2014 season October 31, and last month a permanent food truck park opened along NW 10th Street between the Midtown and Automobile Alley areas of Oklahoma City. On Wednesday Associate State Climatologist Gary McManus released figures showing it's been a dry September. Oklahoma only averaged 2.6 inches of rainfall, which is roughly 33 percent below normal. Over a seven-year period, the number of homes in downtown Oklahoma City will more than quadruple, and almost none of them will be for sale. 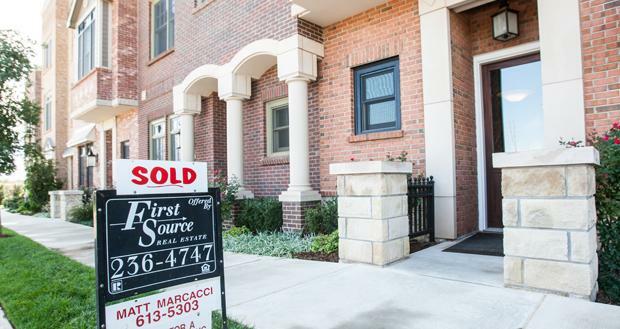 Oklahoma City Assistant City Planner Ian Colgan says 96 percent of the homes downtown are rentals - demonstrating a growing trend of lease properties, as opposed to traditional, single-family homes for sale. 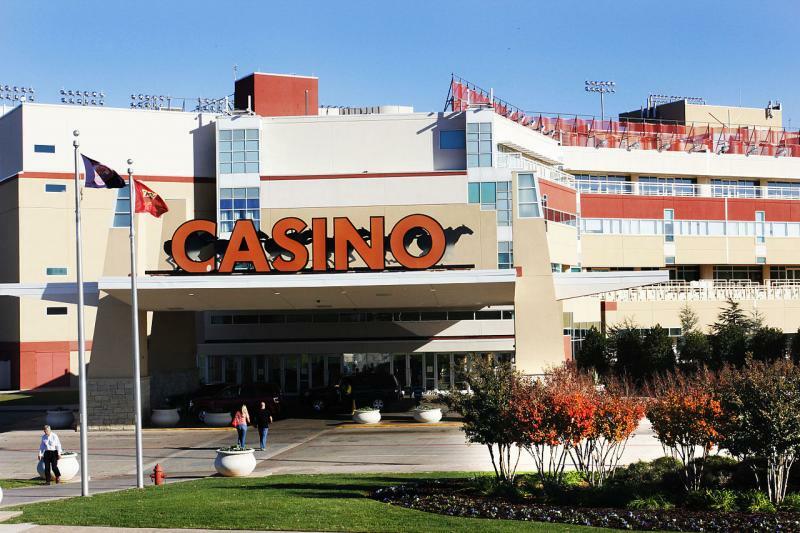 With casino-goers graying, Remington Park racetrack and casino is playing the odds that a younger crowd will find betting on the races more interesting by using their smartphones, according to the Journal Record this week. “Mobile wagering” allows casino patrons to bet on the horses from the comfort of their seat at the slot machine, at the Casino’s “Silks” restaurant, or anywhere else on the site—as long as it’s at the track. The app knows if the patron leaves the property. 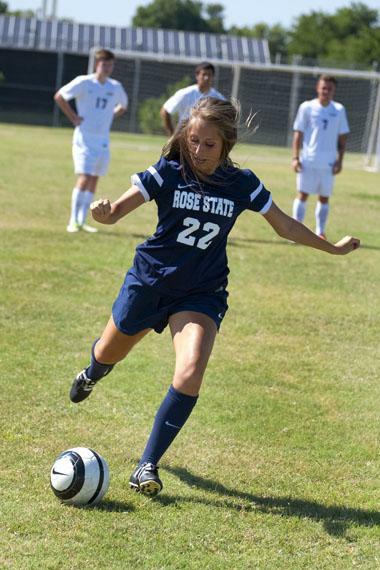 Rose State College recently established both men’s and women’s soccer teams, hoping to kick off new interest in their college. Called the “Raiders,” named for daring, barn-storming World War II bomber pilots; the teams compete in Division I, Region II of the National Junior College Athletic Association. But they also hope to garner interest in the college in the hearts and minds of would-be students and their parents. Where retail growth might have once sprung from a mall, progress now may be heralded by a health care facility, as shown in recent developments in both Yukon and Shawnee, according to the Journal Record newspaper. An Unusual Oklahoma City Business Expands To Another State. 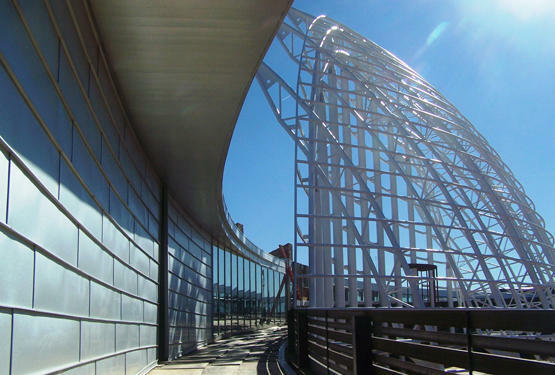 The Museum of Osteology signed a 15-year lease in a new entertainment district in Orlando, Florida. The museum, which is on Sunnylane Road, grew out of a business called Skulls Unlimited. Jay Villemarette started the company in 1986. 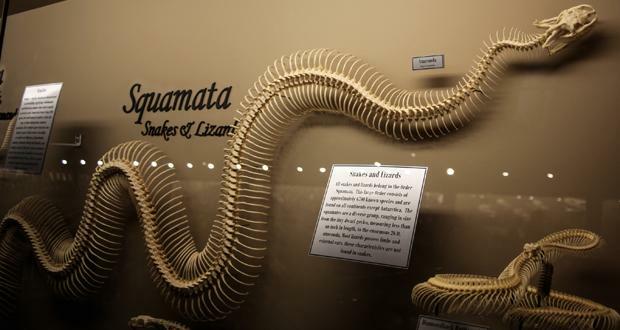 It sells more than 100 types of animal skulls and full skeletons through catalogs. The new museum, called “Skeletons” will be near a Ferris wheel, a wax museum and an aquarium. 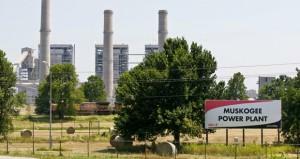 Top Business Stories: OG&E Coal Cleanup, Food Trucks, And A Leaner Chesapeake Energy Corp.
OG&E Says Cleaning Up Emissions At Its Coal-Fired Power Plants Could Cost $1 Billion. The U.S. Environmental Protection Agency sued the company in 2009, claiming pollution from OG&E creates smog in national parks. The courts agreed and gave OG&E until 2019 to clean it up. 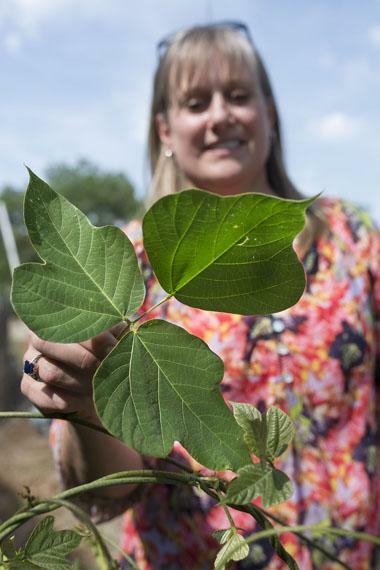 An Invasive Plant Threatens Oklahoma’s Agriculture Industry. Kudzu is a vine known for taking over huge areas of states like Alabama and Mississippi. It can cover abandoned buildings and take down utility wires. It can grow 18 inches a day, and some experts joke that it grows so fast you have to be careful falling asleep near it. 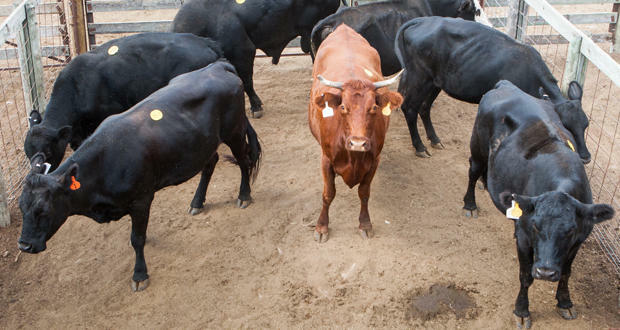 The problem is that it also can kill off native species and can carry diseases that damage crops such as soybeans, which produces up to $130 million a year in Oklahoma. Kudzu has been found in 50 places around Oklahoma. Parents, Cities And Counties Plan For Back-To-School Tax Holiday. 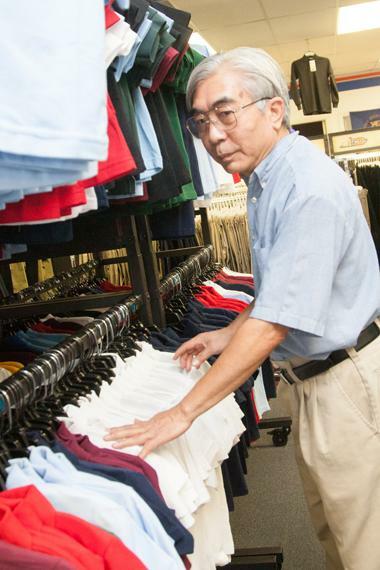 August first through third, shoppers don’t have to pay sales tax on clothing items that cost less than $100. The holiday was implemented in 2007 to discourage shoppers from crossing state lines to save. That’s good news for family budgets, but it also means the state misses out on $4 million it might have had otherwise. 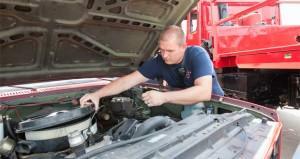 Oklahoma’s Rural Firefighters Can Keep Using Surplus Equipment. The Environmental Protection Agency recently warned that it was going to prevent the Department of Defense from giving surplus equipment to the departments, saying much of the equipment fails to comply with EPA standards. Despite Last Year’s Devastating Tornado, Business Is Booming In Moore. Sales tax revenues for the first part of the year are 8.7 percent higher than in 2013. In fact, collections grew more than in other metro cities. 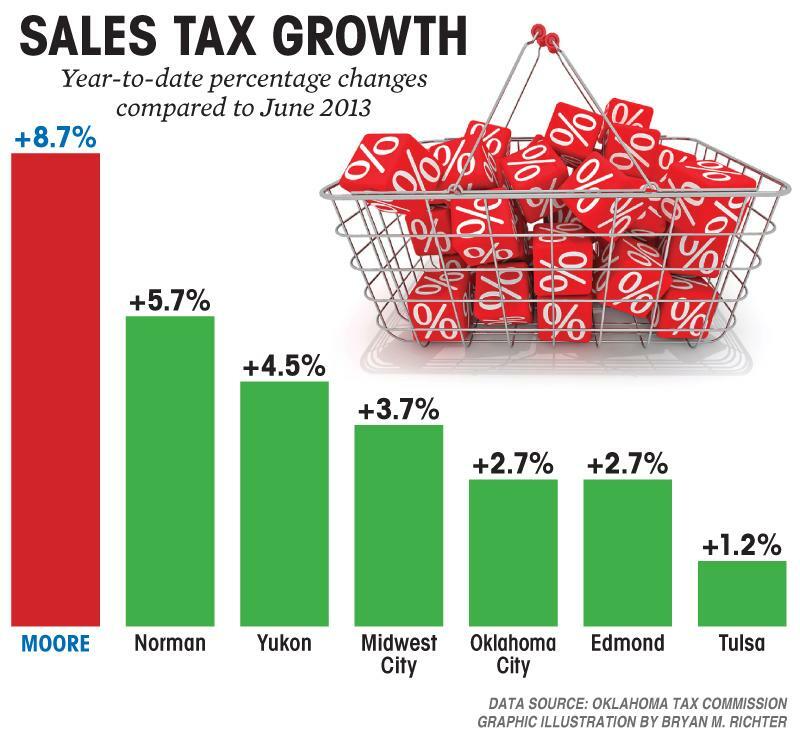 Norman grew 5.7 percent, and Edmond and Oklahoma City each posted 2.7 percent gains. Moore City Manager Steve Eddy said the surge comes from more than just reconstruction. 12.3 percent higher than a year ago. Two Lawsuits Are Challenging Bills That Were Signed Into Law By Governor Mary Fallin. A group of parents, teachers and members of the state Board of Education are fighting the repeal of Common Core standards. They say the bill violates the state Constitution by letting the Legislature take over an executive function. The bill repeals the Common Core standards, which Fallin initially supported. It says new standards will be developed. Opponents say the language of the law gives the Legislature too much power to review the new guidelines.